Easy-to-install and designed to deliver industry-standard performance, the Rosemount 2051CFC Compact Orifice Plate Flow Meter offers dependable flow measurements. 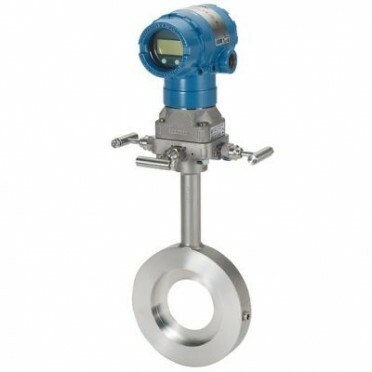 This flow meter is built with a compact orifice plate that provides accurate measurements for loop control, general purpose monitoring and custody transfer applications. In addition, the orifice plate of this flow meter withstands harsh process conditions and is available in a range of line sizes (0.5 - 12 in. or 15 - 300 mm). Description :For data reliability without the cost of wiring, the Rosemount 3051L Wireless Level Tra..